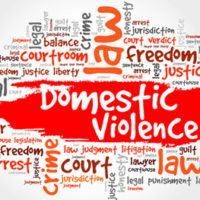 If you are charged with domestic violence, you might think pleading guilty to a misdemeanor will make things easier for you. But in many cases just the opposite is true. Even a misdemeanor conviction can affect your civil rights in critical ways–and possibly lead to additional criminal charges down the line. For example, under federal law it is illegal for a person to “possess” a firearm if they have been “convicted in any court of a misdemeanor crime of domestic violence.” This includes not just crimes expressly defined as misdemeanors under state law, but also any offense where one of the elements was “the use or attempted use of physical force, or the threatened use of a deadly weapon, committed by a current or former spouse,” or by someone with whom “the victim shares a child.” However, a misdemeanor conviction does not qualify it was later expunged, set aside, or pardoned, and the defendant’s civil rights have been restored. But this actually creates something of a legal trap. Under Florida law, a misdemeanor conviction does not lead to the revocation of civil rights, such as the right to possess a firearm. So a defendant cannot rely on the “civil rights restored” exception to avoid a federal weapons charge if they have a Florida misdemeanor domestic violence conviction on his or her record. In his motion to dismiss, the defendant tried to invoke the “civil rights restored” exception. Specifically, he argued that his 2010 conviction did not “result in a revocation” of his civil rights, therefore it could not qualify as a predicate offense to criminalize his possession of a gun under federal law. The judge disagreed. She said that under binding U.S. Supreme Court precedent, just the opposite was true: Since his misdemeanor conviction did not revoke his civil rights under state law, he did not qualify for the exception under federal law. The defendant must therefore face trial on the federal weapons charge. As you can see, any kind of domestic violence conviction under Florida state law can have a significant impact on your rights under federal law. This is why you need to work with a qualified Miami domestic violence defense attorney, even if you are “only” facing a misdemeanor charge. Contact the Law Office of Julia Kefalinos at 305.676.9545 if you need to speak to a lawyer today.